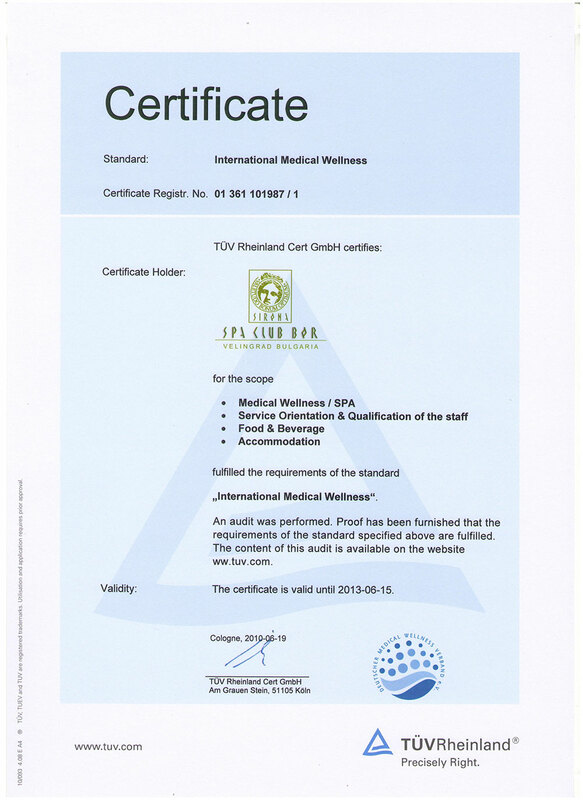 In the year of 2010 SPA CLUB BOR and Saint Spas balneological complex, were the first complexes in Bulgaria, which received the German quality certificate TÜV and became members of the Deutscher Medical Wellness Verband e.V. Contract, signed with the National Health Insurance Fund for implementing the following programs – Physiotherapy, Dermatology, Cardiology, Internal diseases, Laboratory examinations. Certificate No. RKK-19-7575 for four-star category, issued to the SPA CLUB BOR. Contract, signed with the Bulgarian National Social Security Institute for prophylaxis and rehabilitation programs for treating diseases of the musculoskeletal system, the peripheral nervous system and the gastrointestinal tract. Member of the Bulgarian-Russian Chamber of Commerce and Industry. 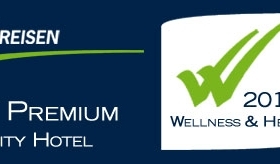 Member of the Bulgarian Association for Balneology and SPA Tourism. 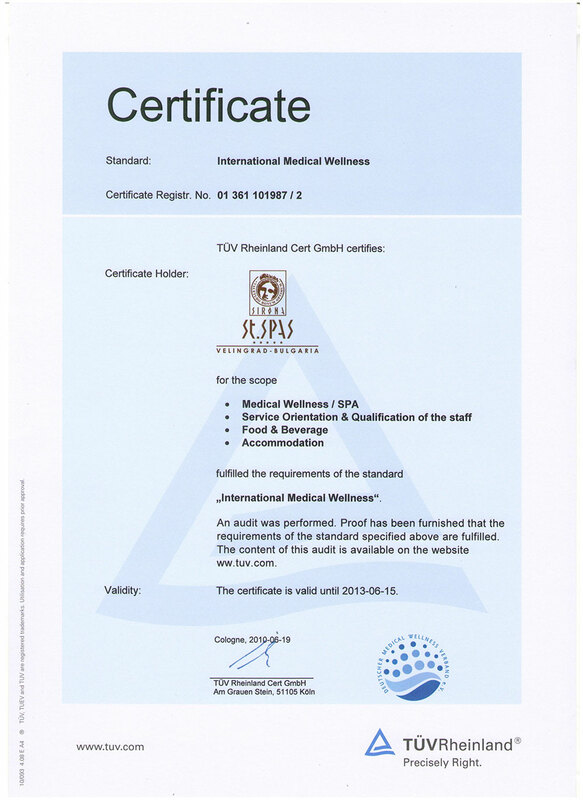 Member of the Bulgarian Association for Physical and Rehabilitation Medicine. Permissions for mineral water’ use No.01610227/11.08.2009; No.01610328/15.06.2010. Laboratory certificate for blood and biochemical analysis No. В0029/2009. 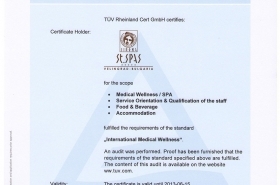 Medical center certificate No. 857/29.05.2009. 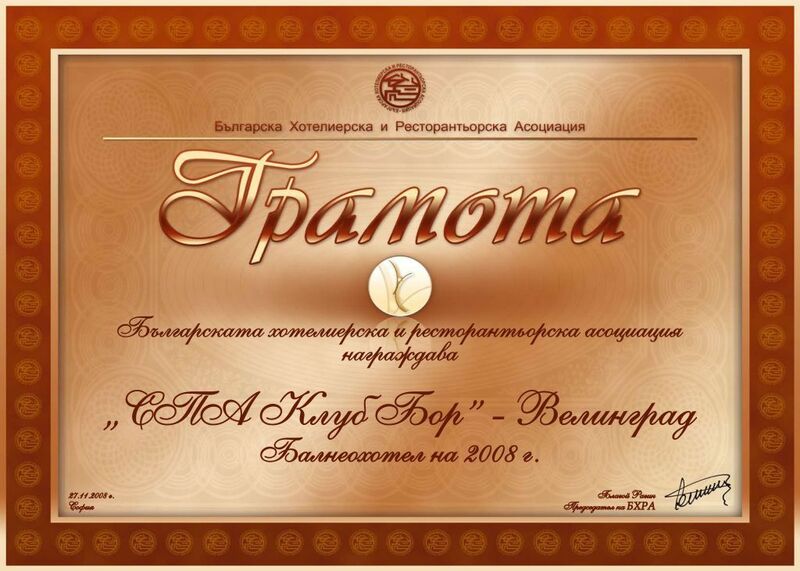 Diploma, issued by the Bulgarian Hotel & Restaurant Association, with which SPA CLUB BOR was announced for Balneohotel of the year 2008. In the year of 2008 SPA CLUB BOR and Saint Spas balneological complex, were the first complexes in Bulgaria, which received a certificate, issued by the European Spas Association (ESPA).